Medical nonwoven disposables have become essential products in the healthcare industry. Globally, they are becoming increasingly important in preventing hospital-acquired infections (HAIs) and incontinence problems in adult populations. The rising number of patients infected with HAI and the increasing incidence of surgical site infections (SSIs) have propelled the demand for nonwoven disposables. The use of sterile disposable non-woven drapes and sterile surgical gowns in hospital settings has gained traction in reducing the rate of SSI. A number of preoperative and postoperative infection prevention guidelines by the World Health Organization (WHO) have mandated the efficacy of medical nonwoven disposables in reducing the rate of cross-contamination and preventing patients picking up infections on the operating table. This has bolstered the adoption of medical non-woven disposables across hospitals in various developing and developed nations. In addition, constant advances in nonwovens production technologies and improving healthcare infrastructure in several developing countries is expected to boost the demand for nonwoven disposables in the healthcare sector. Several prominent manufacturers are engineering fabrics that are sterile, excellent liquid-repellent, and have significant anti-bacterial and flame retardant functionalities. This is anticipated to accentuate the medical nonwoven disposables in the coming years. 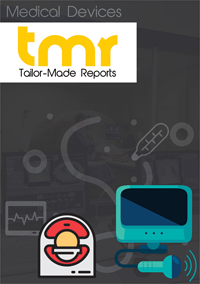 The rising number of surgical procedures and the rapidly rising geriatric population in developing regions are the key factors catalyzing the market growth. Furthermore, the rise in uptake of disposable adult incontinence products in developed nations such as the U.S has boosted the market.